– A total of 16 teams will make up the inaugural season of the MWJHL: Bloomington Jr. Blaze, Cincinnati Stache, Dayton Aeros, Erie Blizzard, Great Lakes Lightning, Hartland Hounds, Holland River Bandits, Ironwood Bears, Kankakee Kingfish, Lake Erie Steelheads, Michigan Ice Dogs, NWO Grrrowl, Rhinelander Street Cats, Soo Firehawks, Tennyson Chevrolet and the Traverse City Cohos. – The league will be comprised of two conferences and four divisions. The American Conference will have the North (Ironwood, Rhinelander, Soo, Traverse City) and Central (Great Lakes, Hartland, Michigan, Tennyson) Divisions. The National Conference will include the East (Dayton, Erie, Lake Erie, NWO) and West (Bloomington, Cincinnati, Holland, Kankakee) Divisions. – The regular season runs from Sept. 14, 2012 to March 17, 2013. Each team will play a 50-game schedule – six games against each division opponent (three home, three away), four games against each opponent from the opposite division, same conference (two home, two away) and two games against each opponent from the opposite conference (two home or two away). – Playoffs will see the top two teams in each division qualify for the post-season. The first round will be a best-of-three format played at the higher seed’s rink. The second round will also be a best-of-three series with Games 1 and 2 played at the higher seed’s rink and if necessary, Game 3 will be played at the lower seed’s rink. The championship final will be a best-of-five with the first three games at the higher seed’s rink and the last two, if needed, at the lower seed’s rink. – The MWJHL member teams will compete in the Veterans Memorial Cup playoffs for a shot at the Veteran’s Cup. The winner of the Veterans Memorial Cup will then move on to play for the AAU national championship on April 8, 2013. – Patrick Pylypuik has been named president and chief executive officer for the 2012-13 season. He had previously been serving on an interim basis. 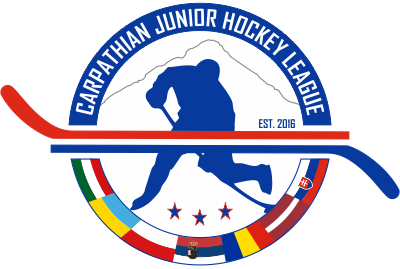 – Randy Montrose of the Hartland Hounds was elected chairman of the board for the MWJHL. – Keith Lang of Tennyson Chevrolet named executive vice-president. – Doug Goudreau from the Soo Firehawks was named secretary/treasurer. – The MWJHL will host a free agent camp July 27-29 at Triaphan Arena in Hoffman Estates, Ill. There will also be a camp in the Detroit area in August. Details at www.mwjhl.com. 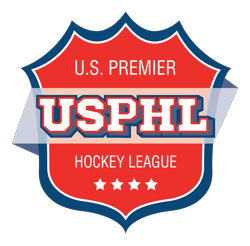 The Midwest Junior Hockey League, proud member of the AAU, will begin play during the weekend of Sept. 14, 2012 with 16 founding member teams. The league will play a total of 50 league games in its inaugural season in several minor league professional arenas. MWJHL member teams have made a commitment to player development, advancement and maintaining a high level operation to achieve sustainable and profitable markets. The MWJHL league office is headquartered in Sylvania, Ohio, and consists of six full-time employees. Contact the MWJHL at 1-855-4-MWJHL-NOW. “Like” us on Facebook at www.facebook.com/MWJHL and follow us on Twitter at @MWJHLHockey.